'Prei khmouch (forest of ghosts)' is an animation that explores relationships between the living and the dead in the period after the Khmer Rouge regime in Cambodia. Based on anthropological fieldwork, it considers the effects of political violence by exploring how mass graves and the dead were considered and related to in the post-conflict environment. This animation is in preparation for release in 2017. The body is a piece of video-art that explores the relationship between the visual and embodied understandings of the body; the alien-exoticisation and othering experienced through medical imagery prior to an invasive procedure. The CT scans offer a slice of the body in time and space; a small fragmented part of a much bigger whole that each image hints at but none show; the visuals explore the way something completely intimate and embodied is also something from which we are completely disconnected. Leang neak ta is a photo-documentary from a gathering of spirit mediums in Takeo province, Cambodia. People in Cambodia mostly don’t visit spirit mediums to negotiate and understand the past; they visit them to deal with the present and plan the future. The spirit mediums gather together several times a year to share work and spiritual encounters. This photo series documents one such gathering, when a dispute between spirits caused a conflict that needed both physical and spiritual intervention to resolve. Click on the image to see the full documentary. Life on water is a photo-documentary of life in the Vietnamese floating village in the Tonle Sap lake in Kampong Chhnang, Cambodia. 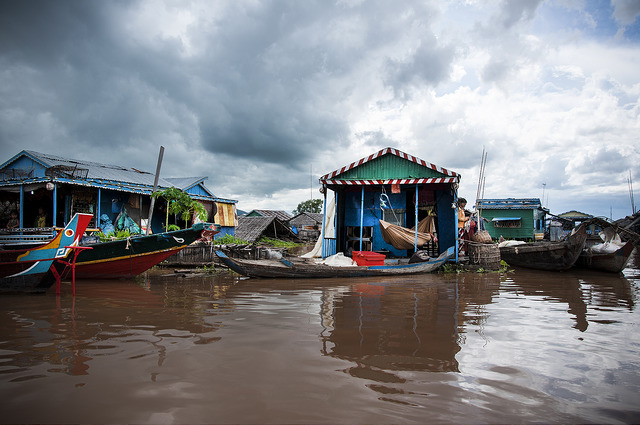 During the rainy season, Kampong Chhnang town is partially flooded, and this community live and work on the boats, moving with the waters as they flood and recede. This photo documentary was exhibited at the Intimate Lens Festival of Visual Ethnography in Caserta, Italy, in 2012. Click on the image to see the full series.